#MangaMonday Recommendations is an opportunity for fans of manga to share their favourite series on a biweekly basis as part of a community of readers. Below is a schedule and list of topics which you can use to recommend manga on your own social media channels. 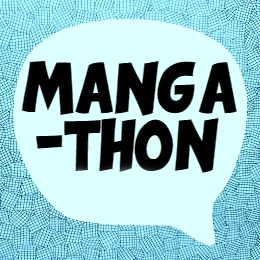 Participation is open to anyone who wants to talk about manga on their social media platform: YouTube, blogging, Instagram…wherever you spend time online. When can I post topics? Everyone will be posting recommendations for the same topics on the same dates. The dates are currently every 2nd and 4th Monday of the month. You only need to participate in the topics and dates that work for you. Where do I get the topics? Topics will be posted here (below) at least 1 month in advance to give you opportunity to put together your content. The list of topics is curated by Laura (Manga Hoarder) for use by everyone. If you would like to see a specific topic, please make recommendations below. Note: Not all recommendations will be accepted, and some may be postponed until it fits in the schedule (for whatever reason). Do I have to talk about manga? No! These topics are generally created to help you discuss different topics in manga, but you are welcome to discuss any books, games, or movies that fit the topics. Talk about as many or as few titles in your post as you want (there is no limit). Talk about anything you want, but please do not recommend manga that is only available through scanlations! Let’s protect the industry we love by choosing not to participate in (nor promote) illegal and damaging behaviours. Do you feel hungry, yet? This week we’re recommending food-themed manga. Who knew that food was such a favourite theme for manga!? Share those titles that make your mouth water! Space, Planets, Science, Technology, Robots, Aliens… there are an almost countless number of science fiction manga available to read in English! Whether it’s a dark thriller or a cutesy romance, there’s a science fiction for everyone. Recommend your favourite science fiction stories! Goes Bump in the Night! As a lead-up to Halloween, we want to focus on stories that are perfect to read at this time of year. But, not everyone likes to read a scary story. Recommend some fun manga that feature spooky creatures like ghosts, monsters, and yokai but won’t make anyone feel like sleeping with the lights on. Continuing with Halloween reads, we want you to pick your favourite scary titles. Because Truth is Stranger Than Fiction! November is a popular time to read non-fiction. While the selection of available non-fiction in manga is considerably smaller, the titles can be even more engaging and impactful than fictionalized stories. Recommend your favourite non-fiction manga (or non-fiction ABOUT manga). The simplest definition of manga, is that they are comic books written for a Japanese audience. But, they are still comic books. And, many of us hard-core manga readers like to read a variety of comics, comic books, and graphic novels from all-over the world. Recommend some titles you think other manga-readers would enjoy! Gekiga are a genre of serious manga for adult readers that were written post-WW2. And alternative manga are… weird. But, they are often mistaken as the same thing, probably for their unique commentary on art, life and society. They are relatively under-represented in English translations, but they are unique, and often mind-blowing in their delivery and their importance. Recommend some titles you’ve read… or talk about some titles you’d like to read. Note: this project expires at the end of 2018.